My heart soared when I saw the many arms that shot up after I finished my plea. We were at the Q&A session in Goodreads Indonesia Festival’s workshop in December last year, where Twosocks and I talked about travel stories and Teguh Sudarisman, one of Indonesia’s leading travel writer and photographer, shared insights on how to best capture moments in one’s travels. The moderator asked us to give a question to the audience and I thought that asking the 80 or so people in the room to help us with our problem would be more interesting than quizzing them about our presentation on the types of travel writing or how to write a strong opening for your stories. And, to be perfectly honest, we do need help. Twosocks and I have known that we want to write about Jakarta for a year, but we never inched closer to actually deciding what about Jakarta. It is much harder to write about your own city rather than someone else’s. Twosocks chose several among the waving arms, while I had my pen and notebook ready. The ideas were brilliant – exploring public transportation in Jakarta, seeing Jakarta from the eyes of children, and finding alternative hang out spots in this mall-infested metropolitan. One idea, though, resonated the most with the two of us. “Jakarta is a city that moves very fast. Partly because it’s a metropolitan, but also because people often see the city behind the windows of cars or public transportation. I wonder what it would be like if you slow down and travel around Jakarta by walking,” said a curly haired lady whose dress reminds me of spring*. I could feel beads of perspiration forming on my back the moment she said that. Who wouldn’t be sweating if they walk in a city where the average temperature is 32 degrees Celcius? As an asthmatic, walking in Jakarta has also been a live game of Minesweeper for me. I always need to watch out for cigarette smoke and pollutants, for I will have to reach for my inhaler the moment I breathe them in. I also remembered the catcalls and racist comments that I would encounter from time to time in the 20 minutes it take me to walk home from work. 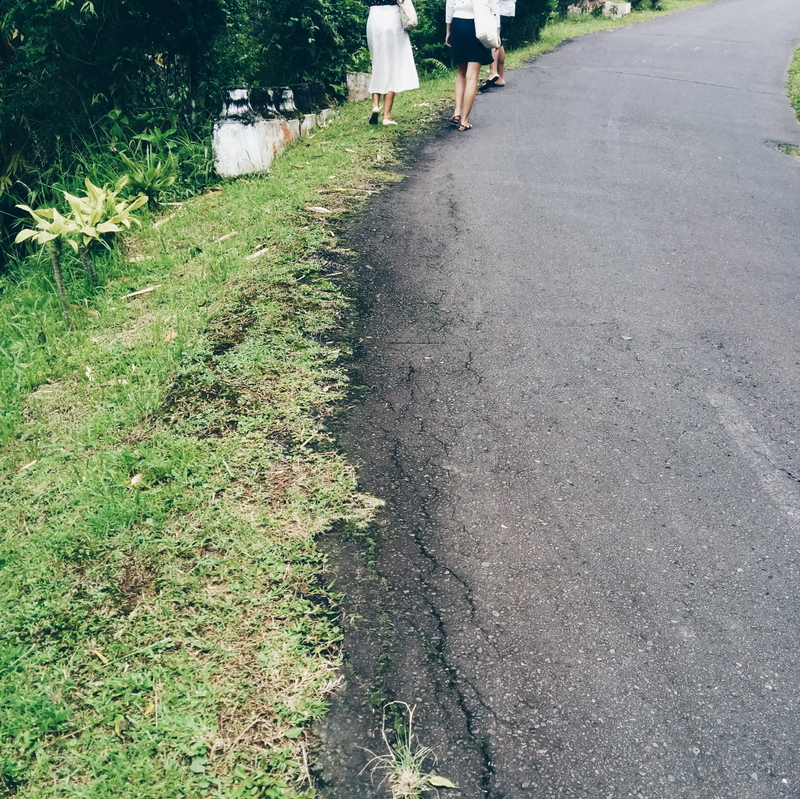 Walking in Jakarta is not an easy task. And yet, my fondest memories of Jakarta are when I was walking through the city. When Twosocks and I walked all the way from Bunderan HI to Pasar Baru eleven years ago, just because we didn’t want our conversation to end. When I was sitting with a friend in Taman Suropati after walking around Kota Tua and Menteng under the scorching sun, and he told me that it was the first time he found a friendly side to Jakarta. When I spent my 27th birthday walking around graveyards and museums in Jakarta and finally felt at home again in this city, after going through a hard time of readjusting upon my return from Den Haag. Those moments, the good and the bad, are of my side of Jakarta, though. How would it feel to explore other versions of Jakarta on foot? How different would it be if we were to explore by ourselves, with friends who are strangers to the area, and with strangers who are locals to the places we were to go to? Would that change how we feel about Jakarta, the city where we’ve spent most of our lives? So yes, we are intrigued. We will be walking all around Jakarta next year, regardless of whether our second book will turn out to be one about our how we experienced the city on foot. We also need to ask for another help, this time from you, our readers. We’d love to hear your thoughts about where to go and who we should be walking with. Where are your favorite places in Jakarta? Which areas are you most curious about? Do you know anyone we should be walking with? Or better yet, would you like to walk with us? *The curly haired lady whose dress reminds me of spring is Indri Yuwono, our new friend who loves traveling, reading, and writing as much as we do. Thank you for the inspiration, Indri. me, I’d walk with you, I love walking! we can play minesweeper together too! hahaha. *picking up an inhaler, bottle water and towel. Let us know when you’re in town, we’d definitely love to walk with you! the catcalls was one of the reasons I started walking with my headphones on, so I couldn’t hear them because I’d love to throw bricks to those thoughtless men’s faces if I did. but anyway. I’m up for walking with you guys, when the time fits. an idea on where to walk: the slums. The last time someone made a racial slur, I actually walked up to them and said that we are now way past the age where racism is still acceptable. He backed down and it felt good. As for a walk to the slums, let’s hunker down once T’s back and work out when! Aloha, Tara! Yes, the SCBD area is nice to walk on. It would be nice to do a slow walk in the area, since usually we rush to get somewhere instead of paying attention to the surroundings. We’ll get in touch! Ah, kami bahkan lagi nunggu kapan @jktonfoot ada lagi, supaya bisa jadi peserta! Orang ketiganya untuk teman jalan-jalan aja 😀 Kalau musim hujan sudah selesai, kita susuri rel kereta yuk! Mungkin udah agak telat, tapi entah kenapa rasanya pengen ikut komentar. Sebagai pendatang di sekitaran jakarta, yang hampir setiap weekend aku di jakarta, otomatis setiap kesini pakai transportasi umum dan kaki kalau memang memungkinkan. Jalan kaki pertama di tahun 2012, weekend kedua di jakarta. Nggak terlalu jauh, cuma dari halte kramat sentiong sampai Taman Ismail Marzuki. Memang ada kopaja yang bisa nyingkat jalan kaki 2/3 jarak, tapi pada akhirnya kita milih buat jalan kaki. Aku lebih suka jalan bareng temen temen karena walaupun jauh jalan kaki nggak akan kerasa capek. Dan nggak mikir sebel walau hampir keserempet berkali-kali. Dan ada temen buat maki-maki pengendara motor nakal yang naik trotoar *ups. 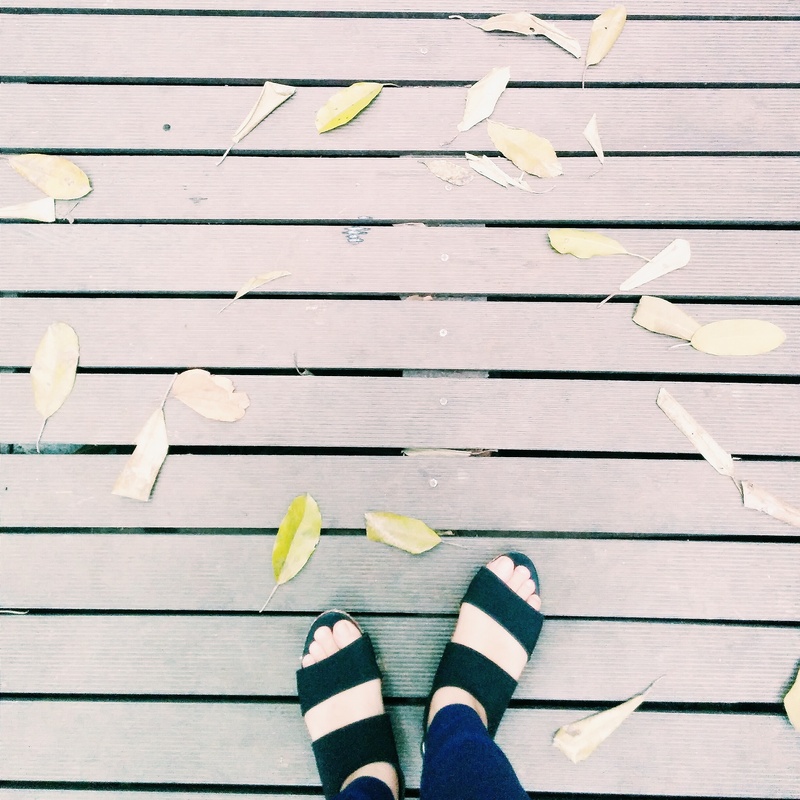 Kami belakangan ini seringnya jalan kaki keliling Pasar Santa di akhir pekan, sambil mengelola POST (https://instagram.com/post_santa/). hai, saya & suami hobi explore Jakarta naik transportasi umum dan jalan kaki. Biasanya kami bikin rute sederhana ke beberapa tempat yang bisa dijangkau dengan berjalan kaki. Beberapa rute jalan kaki kami: Naik transjak turun di deket petak 9, jalan kaki sepanjang pecinan sampai kawasan kota tua – menara syahbandar – pelabuhan sunda kelapa, lalu dari Pasar Baru – Jl. Veteran – Monas – Sarinah (berakhir ngopi di jl, sabang), atau seputar menteng seperti: sarapan di Tugu Kunstring, jalan kaki lewatin perumahan sekitar menteng – makan siang di taman suropati – mampir ke museum naskah proklamasi dan sedikit sambung dengan metro mini ke jl, surabaya. Berakhir lagi di kedai kopi sekitar situ. hehehe. Daerah Menteng – Cikini selalu jadi daerah jalan favorit saya & suami karena banyaknya objek yang bisa dilihat dan kedai kopi yang menarik untuk dicoba.